Ringwood is a suburb of Melbourne, Victoria, Australia, 23 km (14 mi) east of Melbourne’s Central Business District. Its local government area is the City of Maroondah. Ringwood has many parks reserves, most notably, Ringwood Lake. As of July 2012, the average house price in Ringwood was $583,500 and $390,000 for a unit. Ringwood village emerged in the mid to late 19th century, following the 1850s land sales. Before this, Ringwood was used primarily for agriculture. The post office opened on 2 August 1875, in the then rural area. The suburb has two Australian Rules football teams, the Norwood Norsemen, who are the current Division 1 Eastern Football League (EFL) premiers, whose home ground is Mullum Reserve. The second team is the Ringwood Redbacks who play in Division 3 of the EFL, at Jubilee Park. Ringwood is also the home to Ringwood City Soccer Club. Founded in 1953, the club became the Victorian State League champions in 1959. However, the club has seen very limited success since and they now play in the Victorian State League Division 5;. The club is based at the Ringwood City Soccer Complex located at Jubilee Park. The Ringwood Field Naturalists Club Inc. (RFNC) is an Australian natural history and conservation organisation. The club was founded in 1961 by Jack Hyett and William (Bill) King, with other notable members, including Bruce Fuhrer and Fred Rogers. The club provides an amateur forum for the study and enjoyment of natural history and travels both locally and within Victoria. Croydon is located in Melbourne’s leafy outer eastern suburbs, in the foothills of the beautiful Dandenong Ranges, between Ringwood and Montrose. Croydon features an abundance of shopping facilities including the attractive tree-lined shopping strip along Main Street where there are cafes, outdoor eating areas and many retailers. Across the railway line north of Main Street is the under cover shopping centre Croydon Central, while south of Main Street on the other side of Mt Dandenong Road is the Arndale Civic Shopping Centre. Croydon enjoys a plentiful supply of parkland, open space and sporting facilities. On the east side of Main Street is Croydon Park which has a large oval, swimming pool, BBQ areas and a playground. Just across Mt Dandenong Road is Town Park where there’s an athletics track, skate park, tennis courts and a network of pathways through the parkland. Croydon’s library, the City of Maroondah service centre and an aquatic centre are situated around a lake within the park. Cyclists and walkers can follow the Tarralla Creek Trail southwards to Canterbury Road via Eastfield Park. To the north at Croydon Hills and Croydon North are residential areas which contain a generous selection of parkland. Off Croydon Hills Drive and Lakeside Crescent is the 9 hectare Candlebark Walk Reserve which features a lake, wetlands, lawns and pathways through natural bushland. The nearby Yarrunga Reserve is home to a community centre and includes a lake, bushland, playground and BBQ facilities. Hochkins Ridge Flora Reserve, located off Exeter Road, is one of Croydon’s largest and most diverse reserves with a vast range of native plant species. For the best views in Croydon, head to the top of Monastery Hill, off Wicklow Avenue. A monastery originally opened on the site in 1939, and it is now occupied by the Sacred Heart Catholic Church and a primary school. Enjoy views of Mt Dandenong capped with its communications towers, as well as the surrounding mountains of the Dandenong Ranges. 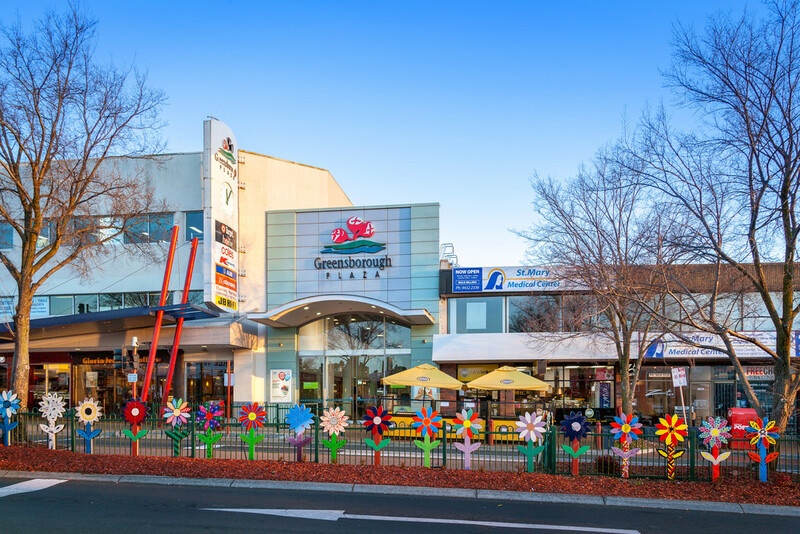 Croydon’s tree-lined boulevards, framed with views of the mountain peaks of the Dandenong Ranges, create a village atmosphere and make it an attractive place to visit. 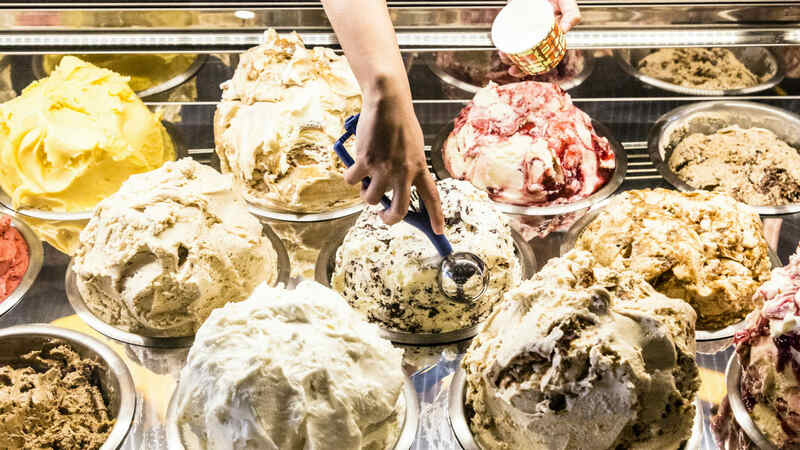 You won’t go hungry in Richmond, whether it’s from packing in the pies at the footy, brunching in a cosy cafe, fine dining in a hatted restaurant, Vietnamese treats or pizza slices after a gig. Prop up the bar and soak up pre-footy atmosphere at renovated working class watering holes like the London Tavern, the Richmond Club Hotel, the Swan, the Great Britain, the Spread Eagle and Prince Alfred Hotel. Then head to the ‘G to cheer on your assigned or adopted Aussie Rules football team. Tip your hat to the Good Food Guide champions adding fine culinary pedigree to the local dining scene: Anchovy on Bridge Road and Noir on Swan Street. Dreaming of sushi? Do Jiro proud and immerse yourself in an okamase experience at three-hatted Minamishima. Flirt with the south side of the river at Baby Pizza and Kong on Church Street. Head to Swan Street for ethical eats at Feast of Merit, and modern takes on Mexican and Vietnamese at Fonda and Hanoi Hannah New Quarter, respectively. Embrace the hustle and bustle of traditional, fast and exceptional Vietnamese food on Victoria Street, Melbourne’s Little Saigon. Typically ‘Melbourne’ cafes like Pillar of Salt, Touchwood, Reunion and Co. and Friends of Mine ensure you’re never far from a decent coffee. In the heart of Richmond’s buzzing Swan Street is the jungle oasis of Botherambo. The all-day restaurant and shady courtyard are the perfect setting for a fresh and exotic menu that straddles South East Asia. There are Vietnamese, Thai and Lao favourites alongside new flavours to dazzle your tastebuds. And that’s without mentioning the unconventional, dangerously moreish cocktails and, er, the desserts. The desserts. You had us at kaffir lime ice magic. Cremorne is a small inner suburb of Melbourne, 2 km south-east of the CBD. Its local government area is the City of Yarra and at the 2011 Census it had a population of 1,564. It is bounded by the Yarra River, Punt Road, Swan and Church Streets, and divided down the middle by the railway to South Yarra. Covering only about a square kilometre, until 1999 Cremorne existed only as a locality in the larger suburb of Richmond. Cremorne’s charm is in its rather chaotic mix of uses and the unique character resulting from being ‘walled in’ by main roads and railways on all sides. There are industrial icons such as Bryant and May and Rosella factories, and the Nylex Clock, side by side with Victorian cottages, modern townhouses, offices and light industries. Cremorne takes its name from the Cremorne Gardens, an amusement park which occupied a riverfront location in the western half of Cremorne for a period in the mid 19th century. Swan Street is one of Melbourne’s most popular shopping strips. Once famous for the Dimmeys department store, full of discounted seconds and distressed stock, which is now being redeveloped as an apartment complex, it also has an eclectic collection of restaurants and clearance shops. The street also features some fine examples of Edwardian and Victorian architecture. A period of renewal since the early 2000s has seen an influx of cafes and restaurants as well as modern residential apartment development along the strip. Punt Road is the major north/south link in inner Melbourne and is busy 24 hours a day. Church Street is lined with furniture showrooms. Perch in a Brunswick Street bar and celebrate the way that sometimes the more things change, the more they stay the same in this inner northern enclave. While inevitably undergoing inner-city gentrification, Fitzroy has retained its creative edge thanks to a great mix of art galleries, studios and specialist bookshops. Idiosyncratic bars pop up on Smith Street; Marios, Polyester and Brunswick Street Books still call Brunswick Street home; and Johnson Street continues to flaunt its Spanish heritage, especially during the November Hispanic Fiesta. Meander through menus across Fitzroy’s eat streets. It’s all ooh-la-la at Brunswick Street’s Bon Ap’, and Latin lovin’ on Johnston Street, where the Spanish Club hosts cultural events, vinos y tapas. Meat-free Mondays make sense at Transformer, the Veggie Bar and Smith & Daughters. Get yourself to Gertrude Street for Andrew McConnell’s menus at Cutler & Co., Ricky & Pinky and Marion, for all-in-the-name Belles Hot Chicken, or for an early start at Birdman Eating and Archie’s All Day. In the back streets, watch the market from Young Bloods Diner, bag a local roast at Industry Beans and plan a gin-and-jaffle supper at Bad Frankie. 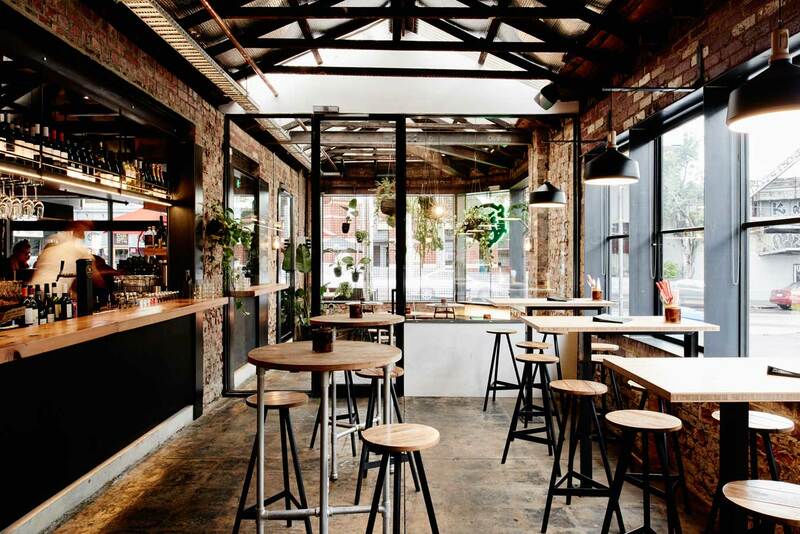 Hang around until evening to make merry in Brunswick Street’s bars and pubs. 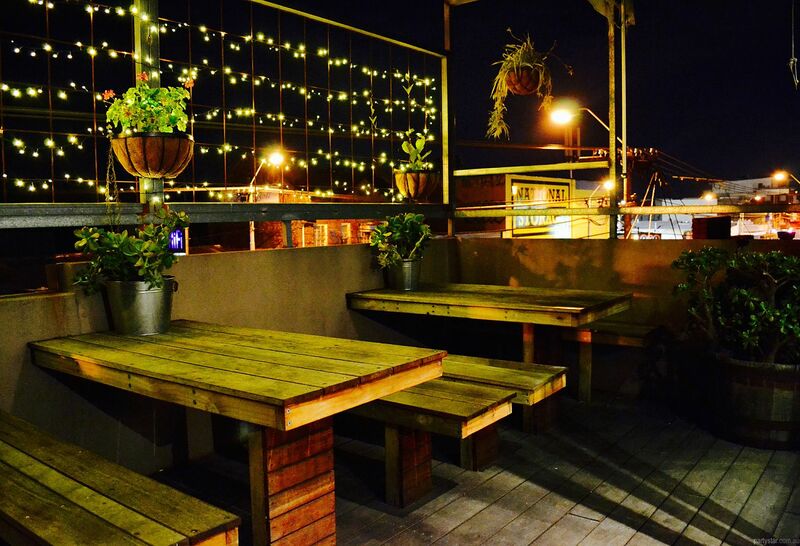 Ring the doorbell for the privilege of classic cocktails at The Attic above The Black Pearl, listen to vinyl crackle at Black Cat, take in city skyline views at Naked in the Sky and Upside Rooftop Bar at 127 Brunswick, and up your spirits at Little Blood. Prop up the bar alongside old-timers and bearded musos at Sullivans-style pubs like Labour In Vain, the Standard, the Napier, Union Club Hotel or Marquis of Lorne. For live music, head to the Workers Club and The Evelyn, or traipse around the corner to the Night Cat, the LuWow and the Old Bar on Johnston Street. Peel back the inner-city onion that is Collingwood and discover layers of local history, infamous characters, quirky creativity and effortless charm. It’s mandatory to have a good time around Collingwood and your attempts are made easy by increasing numbers of bars and restaurants, making it consistently one of Melbourne’s top dining and bar-hopping ‘burbs. Serious food fans, book in for a long lunch at Saint Crispin or try the six-course IDES experience. Burger aficionados, make tracks to oh-so-Melbourne Easeys; pizza fans, Lazerpig is the answer. Culinary globetrotters, take flight with Japanese, Korean, Thai, Spanish, Mexican and Americana: eat it all up at Cibi, Chalawan, Son in Law, Hotel Jesus and the Robert Burns. Bar hoppers, you’re never far from a tipple. Check out the pubs or revel till all hours at Le Bon Ton. Hopsters, this is your hood: take your drinking boots to Stomping Ground brewery and beer hall, or meander down to The Craft and Co., a brewery, distillery and winery in one. Club caffeine, it’s close to impossible to get a bad coffee around Smith Street. Get your cup o’ Joe from Proud Mary, Everyday Coffee, Cibi or Aunty Peg’s. Pastry perfection from uber-boulanger Gontran Cherrier is the ideal complement. Templestowe is a suburb of Melbourne, Victoria, Australia, 16 km north-east of Melbourne’s Central Business District. Its local government area is the City of Manningham. The suburb has a number of natural attractions, including parklands, contrasted with large shopping malls. Templestowe lies between two of Melbourne’s suburban rail lines, (the Hurstbridge and Lilydale lines), which hindered the area’s development. In the 1970s, the Doncaster line was planned by the State Government to run down the middle of the Eastern Freeway, and then veer away from the freeway to run towards the suburb. However, the land acquired for the off-freeway section was sold in the 1980s. The suburb has an Australian Rules football team, the Templestowe Dockers, competing in the Eastern Football League. The Bullen Templestowe Amateur Football Club competes in the Victorian Amateur Football Association (VAFA). The “Bullants” are a proud family club, who have had some recent premiership success at senior level (2004, 2008, 2012). The Reserves side were also Premiers in 2012, making it a very successful year for the Club after building upon the success of their Under 19’s who were Premiers in 2011. The Club were promoted to Division 1 of the Victorian Amateur Football Association for the 2013 season. Ivanhoe is a suburb of Melbourne, Victoria, Australia, 10 km north-east of Melbourne’s Central Business District. Its local government area is the City of Banyule. Upper Heidelberg Road is the suburb’s centre and the location of the former Heidelberg Town Hall, now known as The Centre Ivanhoe. The town hall is a classic ‘art-deco’ building on top of a hill, with a green neon clockface on a tower. Due to historical considerations, the town hall continues to host Banyule City Council meetings notwithstanding their main offices moving to Greensborough in 2017. The suburb has two railway stations; Ivanhoe, which is located in the Zone 1 and 2 overlap of the public transport system and Darebin, wholly within Zone 1, is also located in the suburb. The suburb hosts two prestigious private schools; Ivanhoe Grammar School and Ivanhoe Girls’ Grammar School. It is also home to one of Victoria’s oldest state schools, Ivanhoe Primary School, established in 1853. The Centre Ivanhoe is a stunning Art Deco venue in Melbourne’s inner suburbs. Greensborough is a suburb of Melbourne, Victoria, Australia, 19 km north-east from Melbourne’s Central Business District. Its local government areas are the City of Banyule and the Shire of Nillumbik. The suburb was named after settler Edward Bernard Green, who was also the district mail contractor. Formerly it was known as Keelbundoora, Aboriginal for “a round swamp”. One of the major buildings in Greensborough is the Lend Lease owned Greensborough Plaza. Greensborough Plaza is a major regional shopping centre commonly regarded as the main retail hub servicing Melbourne’s north-eastern suburbs. The Plaza is not the only shopping option as the adjacent Main Street offers many shops of different varieties. Greensborough and the surrounding suburbs is serviced by a network of roads including the Greensborough Highway, which bypasses the town centre and connects to the Metropolitan Ring Road. The main street is Main Street which runs into Diamond Creek Road, while other main arterials include Para Road which runs south and Grimshaw Street which runs west. Greensborough railway station is the only passenger train station in the suburb, located on the Hurstbridge railway line. The suburb serves as a major hub for bus services for the surrounding area, with most services departing from the Main Street terminal. To this end, pedestrian links between the station and Main Street were upgraded as part of the Greensborough Project development to improve public transport connectivity. Thornbury is an inner suburb of Melbourne, Victoria, Australia, 7 km north of Melbourne’s Central Business District. Its local government area is the City of Darebin. Thornbury is bordered by the Merri Creek to the west, and the Darebin Creek to the east. The heart of Thornbury is known as Thornbury Village, and is located at the centre of Thornbury at the intersection of High Street and Normanby Avenue/Clarendon Street. Thornbury is shaped as a thin strip of land sandwiched between Northcote and Preston. Its east-west width being over six times greater than its north-south width. For 111 years Thornbury was part of the former City of Northcote Local Government Area, which existed from 1883 until June 1994. As such, Thornbury is universally understood to be a demographic and commercial satellite of Northcote, along with Westgarth, although the latter does not have its own postcode. The main commercial area in Thornbury is the High Street shopping strip, centred on Thornbury Village. Smaller shopping precincts are to be found on sections of St Georges Road, Wales Street and Station Street. The Northcote Pottery, founded in 1897 at Clyde Street, was closed in 2007. Thornbury is home to many bars and night spots, including Kitty Somerset, Tago Mago, The Thornbury Local, The Thornbury Theatre, and the Croxton Park Hotel. It also has a large alternative music culture which is evident in some of the independent music stores found on High Street such as Thornbury Records. Hurstbridge is a town in Victoria, Australia, 30 km north-east of Melbourne’s Central Business District. Its local government area is the Shire of Nillumbik. Hurstbridge lies at the junction of Diamond Creek and Arthurs Creek. The area includes a diverse mix of farmers, artists, commuters and tourists. Around Hurstbridge can be found a number of attractions including wineries, walking tracks and markets. Hurstbridge holds the annual Wattle Festival each spring, and a farmer’s market each month. It is almost impossible to park a car in Hurstbridge. It is serviced by regular train services to and from the Melbourne CBD at Hurstbridge Station. Hurstbridge has a football team playing in the Northern Football League, based at Ben Frilay Oval. It has a cricket club playing in the Diamond Valley Cricket Association and has a basketball club, the Hurstbridge Hurricanes playing in the DVBA. The late race car driving champion Peter Brock was raised in Hurstbridge, where he continued to live throughout his life. Eltham is a suburb of Melbourne, Victoria, Australia, 20 km north-east of Melbourne’s Central Business District. Its local government area is the Shire of Nillumbik. Eltham is one of the ‘green wedge’ areas that provide relatively undeveloped, accessible environments within the Melbourne suburban region. These green wedge areas are under constant pressure from developments such as road and freeway expansions, but Eltham has managed to retain many tree-lined streets and leafy reserves. However, the character of the suburb is changing rapidly, with increased road traffic and higher-density housing becoming more common. 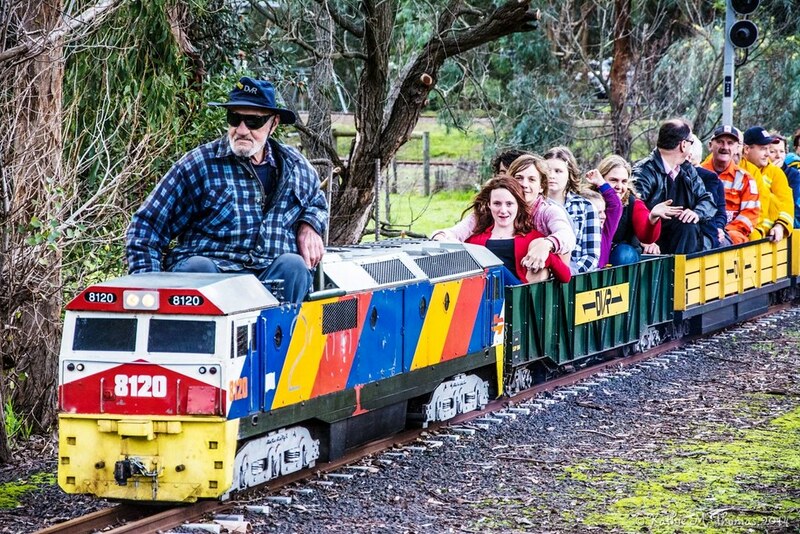 Eltham’s tourist attractions include the artists colony Montsalvat and the Diamond Valley Railway, the largest ridable miniature railway in Australia. A reserve for a village at the junction of the Diamond Creek and Yarra River is shown on maps around 1848. By 1851 the first Crown allotments were being subdivided and sold, along with a private subdivision developed by T. M. Holloway, known as Little Eltham. At this time, the town’s centre was located around the intersection of Pitt Street and Main Road. Eltham is home to a historic wooden railway trestle bridge. The bridge was built in 1902 and is the only wooden trestle bridge still in use in Melbourne’s electric railway network. It is also one of few wooden trestle bridges in use in Victoria. Doncaster is a suburb of Melbourne, Victoria, Australia, 14 km East of Melbourne’s Central Business District. Its local government area is the City of Manningham. The suburb, locally known as “Donny”, just as its namesake in the UK, is situated on 8.9 km2 of land, around the top of the 120 m high Doncaster Hill. The suburb consists of a central area along the top of Doncaster Hill, which includes several historical buildings along Doncaster Road, the Westfield Doncaster Shopping Centre and surrounding high-rise apartments, while the rest of the suburb is typical of many of Melbourne’s eastern suburbs, with extensive low-density housing. Today the suburb is perhaps most notable for its shopping centre, one of the largest in Australia. In 1969 Westfield Doncaster was built on the corner of Doncaster and Williamsons Roads and is a well-known shopping complex in Melbourne. In the early 1980s and again in the early 1990s, it was renovated and extended. From September 2006 to October 2008, it went through a large revitalisation, improving and enlarging the centre dramatically. Due to its location it is also close to several other shopping centres like Box HILL and Macedon Plaza and shopping strips in Greythorn/Balwyn Nth and Balwyn East/The Pines and Camberwell is just a short drive away as is Kew/East Kew. The CBD is also very easily reached if need be.